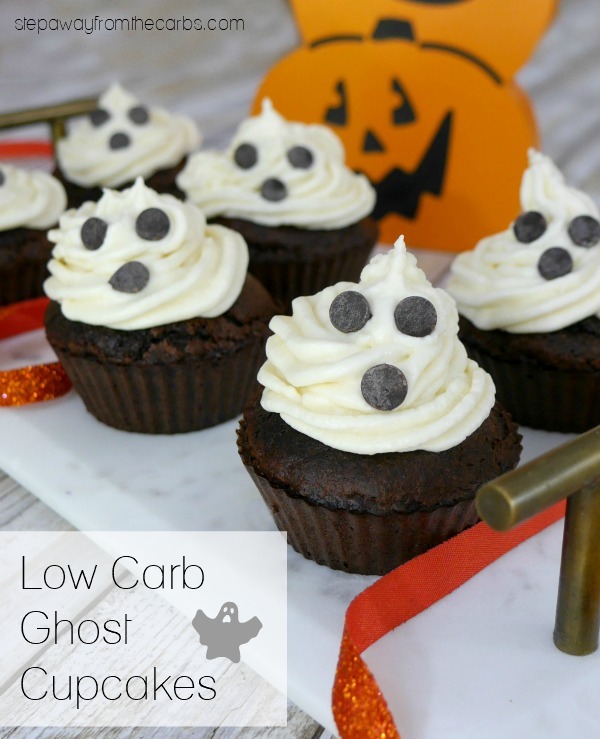 These ghost cupcakes are perfect for your low carb Halloween party! 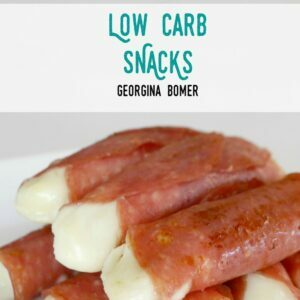 Keto, gluten free, and sugar free recipe! 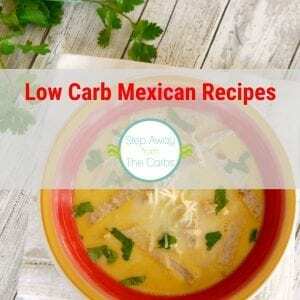 As you may have noticed, I’m *loving* creating some fun low carb Halloween recipes right now! 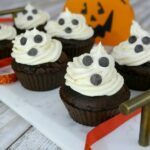 So when I saw these Ghost Cupcakes from Mommy Musings, I was totally inspired to create a low carb version! These fun treats are formed from a dark chocolate cupcake base, then a soft cream cheese frosting, and finished with some low carb chocolate chips to create the ghost’s eyes and mouth. 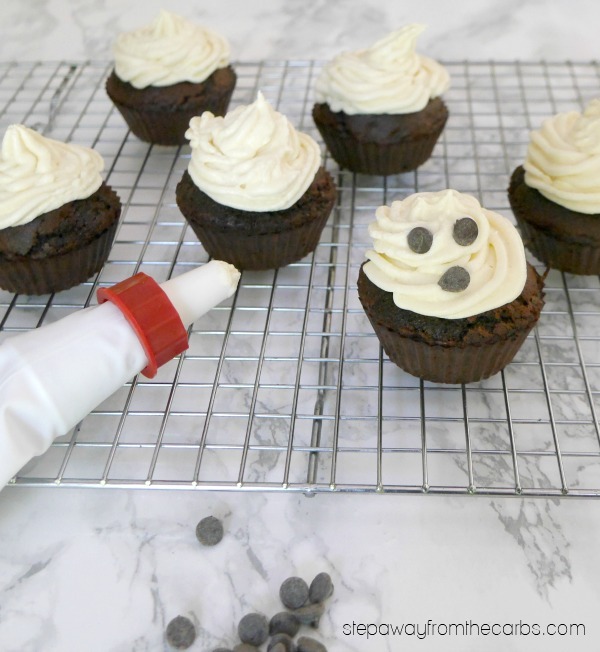 They were really very quick and easy to decorate, and if you didn’t want to use a piping bag you could spoon the frosting onto the cupcakes instead. 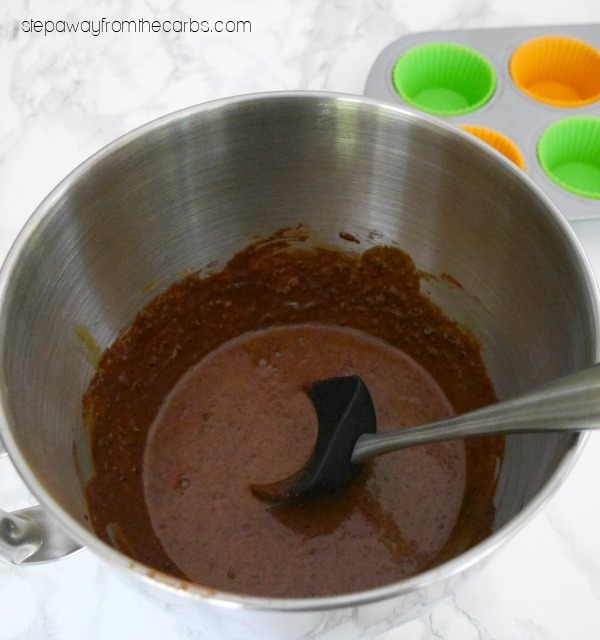 To make the yummy chocolate cupcakes, beat three eggs together in a stand mixer until well mixed. Add in some melted (but cooled) butter, unsweetened cocoa powder, almond flour, low carb sweetener (xylitol or granular Swerve would work well), baking powder, and salt. Beat until a smooth batter has formed. Transfer the mixture into a six-hole muffin pan lined with paper liners or silicone liners. Bake in a preheated oven for 18-20 minutes or until the center is cooked. Allow the cupcakes to cool. When they’re cool, make the frosting by beating softened cream cheese and butter together. I used a hand mixer for this because my stand mixer bowl was still messy – I need to get a second one! Add in vanilla extract, and confectioner’s Swerve, then beat again until smooth. Spoon the mixture into a piping bag and pipe it onto the cupcakes, making sure to end in a top point to form the top of the “ghost”. 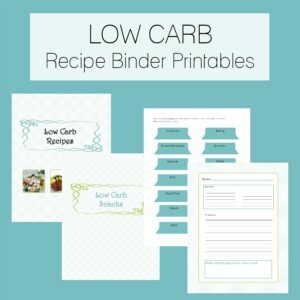 Use low carb chocolate chips (I use the mini ones from Lily’s – get them from Netrition! ), to make the eyes and mouth on the frosting. Don’t they look cute? Even though they’re supposed to look scary and spooky! 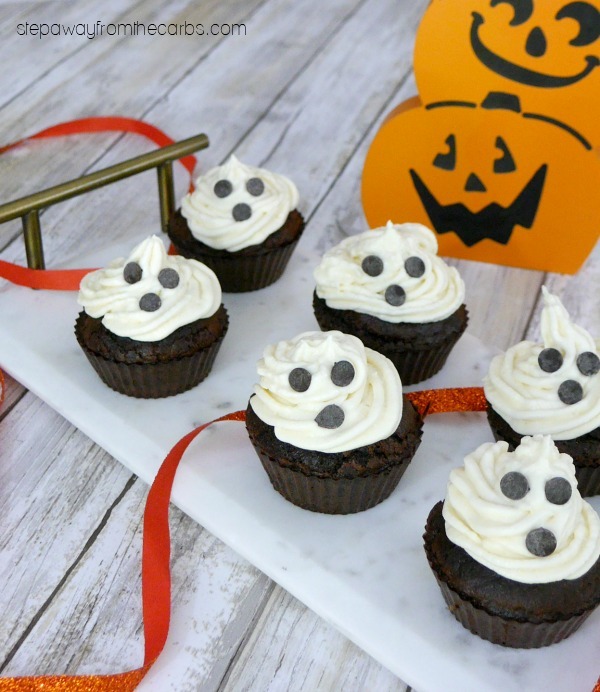 These ghost cupcakes will be a real hit with your friends and family for Halloween! Beat the eggs together in a stand mixer until well mixed. Add in the unsweetened cocoa powder, almond flour, melted butter, sweetener, baking powder, and salt. Beat until a smooth batter has formed. 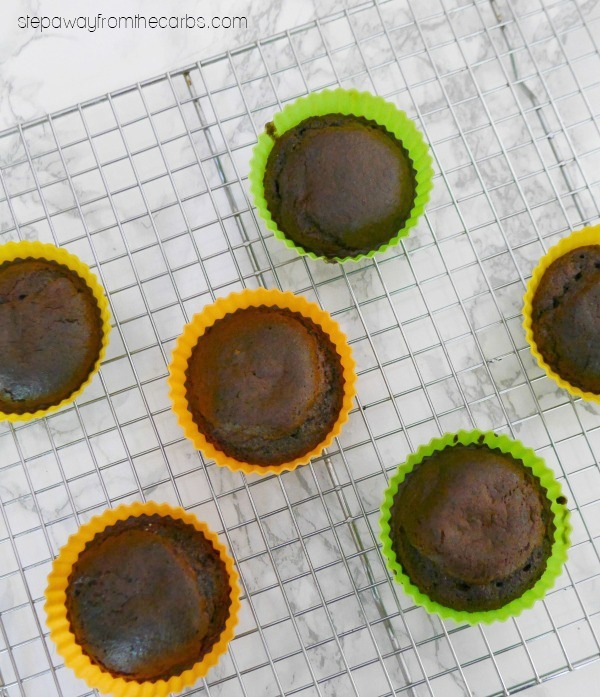 Transfer the mixture into a six-hole muffin pan lined with paper liners or silicone liners. Bake for 18-20 minutes or until the center is cooked. Allow the cupcakes to cool. 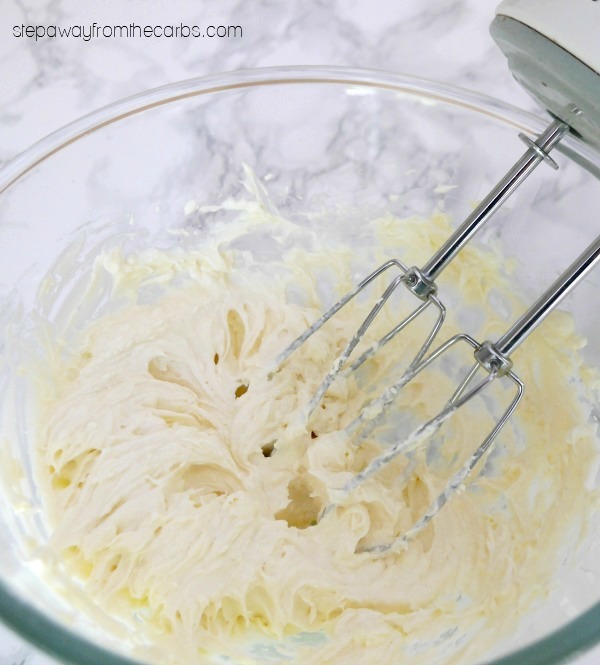 Make the frosting by beating softened cream cheese and butter together. Add in vanilla extract, and confectioner's sweetener, then beat again until smooth. Spoon the mixture into a piping bag and pipe it onto the cupcakes, making sure to end in a top point to form the top of the "ghost". Use low carb chocolate chips to make the eyes and mouth on the frosting. Store in the fridge until required. 5g net carb per frosted cupcake. Does not include sugar alcohols from the sweeteners. Click here to find my full collection of spooky low carb Halloween recipes!